Our 'Isla' fits like a glove and will instantly flatter your gorgeous curves! 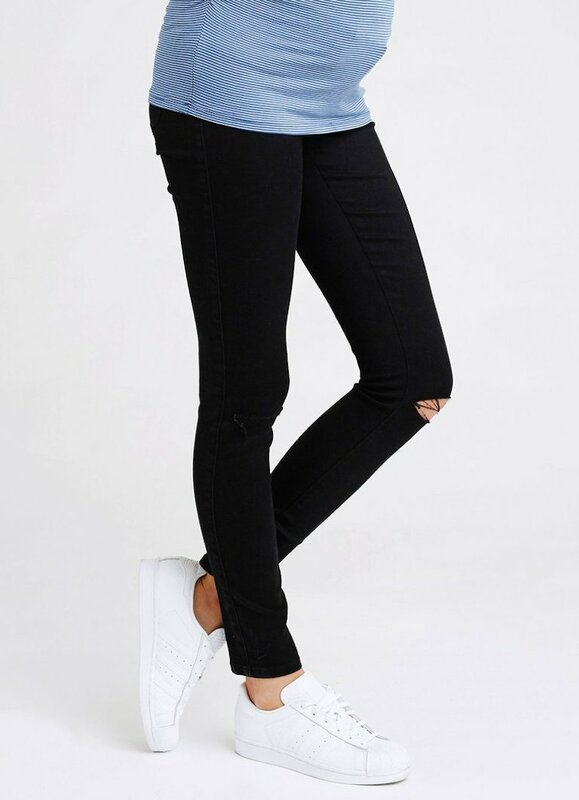 You'll love the distressed 'slash' knee detail. An adjustable wasitband and elastic inserts in the pockets contour the bump, and allow its waistband to grow with you.